"...I especially loved your curriculum, style, and technique. It is unmatched with anything I've ever heard of, and (at least for me) is terribly practical. Besides that your a very fun and talented guy..."
"Thank you for letting my brother perform with me in the recital. Your recitals are always so much fun. I am grateful to have the opportunity to take lessons from you. You are so talented! It is always fun to hear your trio!" "Gardner and I are very appreciative of the love of music you have instilled in our children. 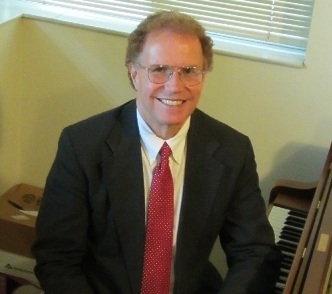 They have a unique connection to you through piano lessons that has spanned 21 years." "I have to say that the gift to play the piano that you have helped me develop is one of the biggest blessings in my life. I have had the opportunity to touch many lives because of you..."
"I just wanted to write you and thank you for the few years that I took piano from you. It was really fun and I hated to quit..."
"...you are doing great things with your students. They are fortunate to have such an accomplished teacher!" "It was so much fun to have been able to see you every Friday and catch up on the week's events as well as have a few laughs before we started our scales." "I'm so grateful for your patience in teaching and motivating me to do better so that I could learn to play with confidence. I love coming home and sitting down to play the piano and creating my own music." "Even though practicing was not my favorite thing to do all the time, I want you to know how much I love the piano. Sometimes during my day when I'm not busy I sit down at the piano and play my previous songs. I thank you for all the hard work that you've put into helping me become better at the piano." "Ken, thank you so much for your efforts and your program. I am working on the material and enjoy the variety of it..."
"I love your enthusiasm with the youth ... Thanks for giving of your time, and teaching and encouraging the musicians of tomorrow." "Thank you for all you do to teach our boys on the piano..."
"Thank you very much for sharing your knowledge and talents..."
"...I learned a lot from you as well as from your excellent handouts." The following is a brief outline of my teaching and some of the programs I have developed over the years. We begin by helping you develop skills in improvisation, composing, arranging and playing by ear. You will have the technique and ability to create full rich arrangements of your favorite music from Fake Sheets. Another goal is to help you develop some strong reading skills. Over the years I have learned over a dozen ways to practice that should help overcome most obstacles in reading and learning new music. We cover the gamut of styles and periods, from Classical to New Age to Rock and Jazz to Latin and Ragtime. If you have any favorite tunes or styles that you would like to learn, I will usually include those as well. I also provide opportunities for you to perform with my band and computer sequenced synthesizers, often at Recitals, or during your private and group lessons. For those that would like a little extra help in developing some of the foundational music skills, I have available links to online programs that can help in rhythm development, ear training and music theory. The advantages of working with computers and tablets is numerous, the goal is to internalize many of the musical talents, so being able to read, improvise, and interpret music fluently comes much more naturally. To learn more about my teaching and schedule, please email me or call (801)255-8863 and I will be glad to talk with you about my program, or make an appointment to meet.